An extensive Product Testing Program involves verification of label claims, potency and purity by 3rd-party laboratories. The recommended supplements contain the highest quality ingredients in their most bioavailable forms and are formulated to provide strengths and dosing consistent with clinical experience and double-blind, placebo-controlled studies, the gold standard of research design. 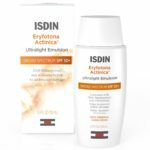 The supplements are registered in the U.S, GMP certified in Canada and exceeds the standards of the United States Pharmacopeia (USP) for supplement manufacturing. Our products do not contain wheat, gluten, nuts, egg, or hydrogenated oils. We do not add coatings, shellacs, binders, fillers, excipients, artificial flavors, artificial sweeteners or colors. We do not use magnesium stearate in any of our products. Are you looking for a healthy non-GMO protein powder? 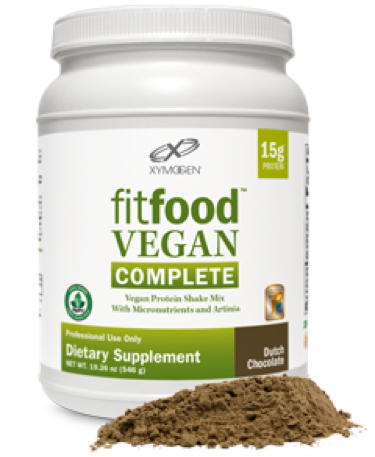 FIT Food Vegan Complete is a delicious functional food powder that is free of soy, dairy, and gluten. It may be used as a snack, a “rescue” food, or as an occasional meal replacement. Call Integrative Medicine of New Jersey at (973)736-5300 to place your order! Our supplement labels list all ingredients, including the composition of the raw material. Our vitamins are non-GMO. This includes vitamin E which is derived from PCR-negative soybean oil, indicating that there is no presence of genetically modified DNA. High risk ingredients including soy isoflavones and nattokinase are derived from non-GMO soybeans. There is also no detectable GMO material in our soy-derived alpha-GPC or phytosterols. Furthermore, we have obtained non-GMO documentation from our suppliers for ingredients originally derived from corn. For other ingredients, we have either obtained non-GMO documentation as well or are working diligently with our suppliers to obtain non-GMO documentation. For more information on supplements make an appointment at Integrative Medicine of New Jersey. Integra X Transformation Supplement available at Integrative Medicine of New Jersey. Contact us for more information.